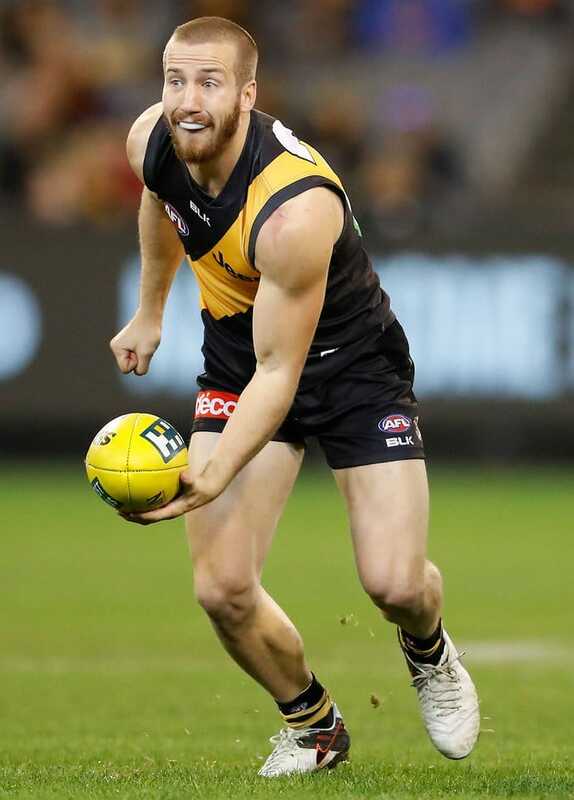 RICHMOND tough nut Kane Lambert heads a trio of re-signings, with defender Jake Batchelor and small forward Dan Butler also inking one-year contract extensions. Meanwhile, Jason Castagna, Mabior Chol, Callum Moore and Ivan Soldo will remain on the Tigers' rookie list next year. Lambert, 24, played 15 matches in a season he suffered a punctured lung and a cracked rib against Port Adelaide in round six. While he had been expected to miss up to six weeks, he returned after missing only two rounds. He was selected in the 2014 rookie draft and upgraded to the senior list ahead of the 2015 season. Batchelor had an injury-interrupted year and played eight games, while Butler has yet to debut after being drafted in 2014. "The club's pre-season campaign is now underway and it is fantastic to have Kane, Jake and Dan re-sign, as we set our sights firmly on season 2017," Richmond football talent manager Dan Richardson told the club's website. "They are all hard working and determined individuals who add great value to this football club. "As more experienced players, Kane and Jake are highly regarded by their peers and provide great support and leadership." Lambert, Batchelor and Butler are contracted until the end of 2017.